This Critical Theory and Contemporary Society volume offers an original analysis of the role of the digital in today's society. It rearticulates critical theory by engaging it with the challenges of the digital revolution to show how the digital is changing the ways in which we lead our politics, societies, economies, media, and even private lives. In particular, the work examines how the enlightenment values embedded within the culture and materiality of digital technology can be used to explain the changes that are occurring across society. Critical Theory and the Digital draws from the critical concepts developed by critical theorists to demonstrate how the digital needs to be understood within a dialectic of potentially democratizing and totalizing technical power. 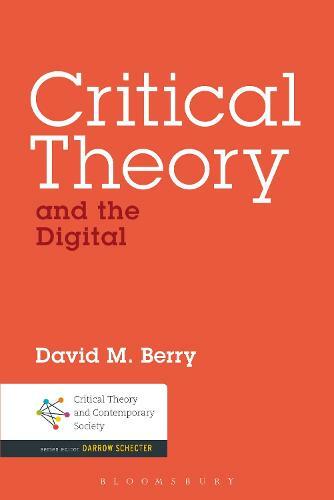 By relating critical theory to aspects of a code-based digital world and the political economy that it leads to, the book introduces the importance of the digital code in the contemporary world to researchers in the field of politics, sociology, globalization and media studies.